Liverpool One – Once again we are back in Liverpool One on Saturday April 13th for a full day of exciting live steel music. We will be performing at the bottom of the steps to Chevasse Park from 11.00am through till 4.00pm. 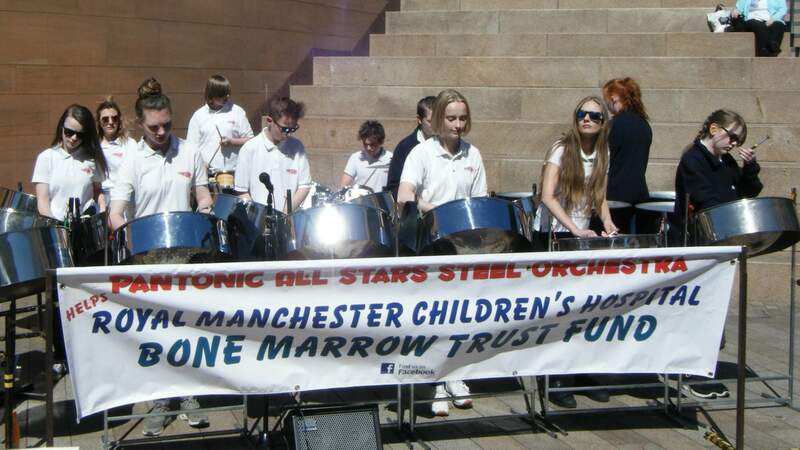 During the day we will be collecting to support our nominated charity, the Royal Manchester Children’s Hospital, Bone Marrow Trust Fund for which we have now raised over £55,000 since 1985, reaching our £50,000 target in Liverpool in 2016 to become the largest single contributor to this worthy children’s cause. We will also have our CD collection available should you wish to take home some summer sunshine.